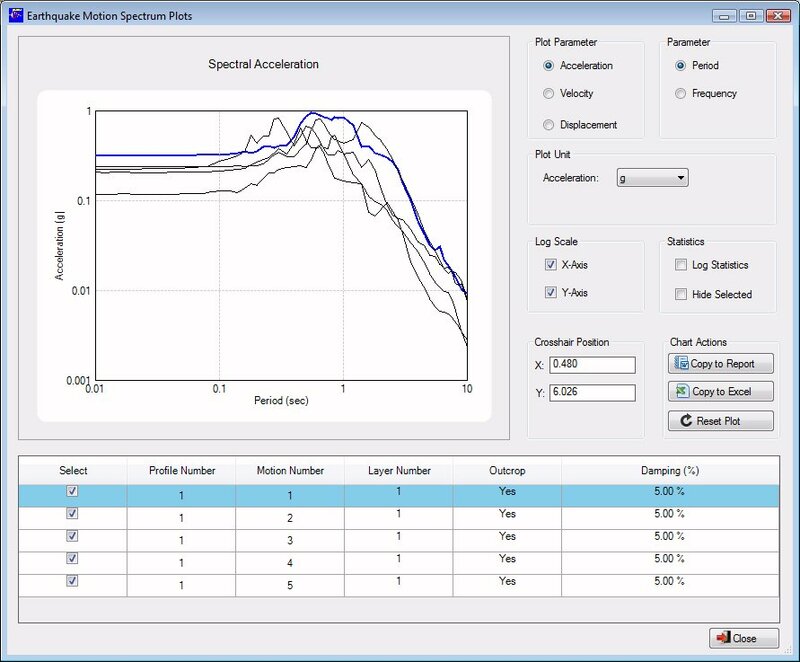 ProShake 2.0 is a powerful, user-friendly computer program for one-dimensional, equivalent linear ground response analysis. 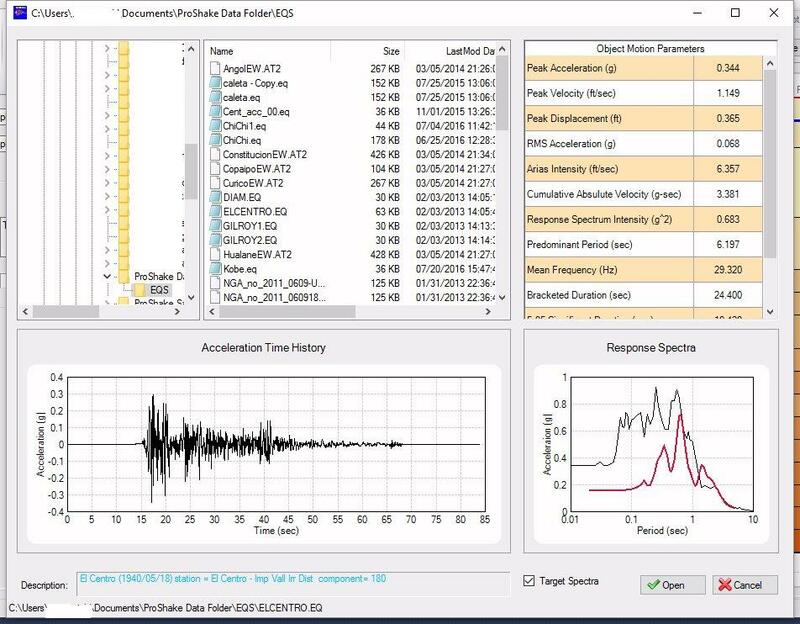 Written completely from scratch, ProShake 2.0 includes numerous features to make data entry, analysis, viewing and documenting of results efficient and effective, including built-in modulus reduction and damping models, graphical display of soil profile and input motion parameters, graphical display of a wide variety of output parameters, and animation of ground response. 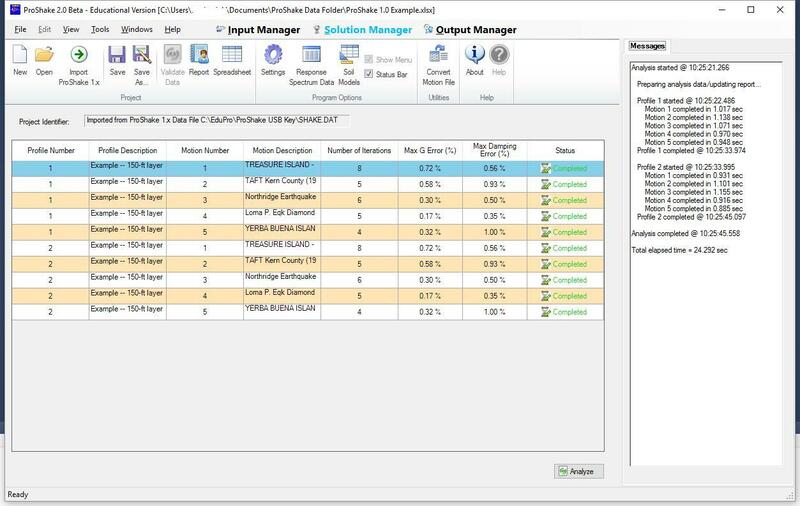 ProShake 2.0 is organized into three "managers" - an Input Manager, a Solution Manager, and an Output Manager. 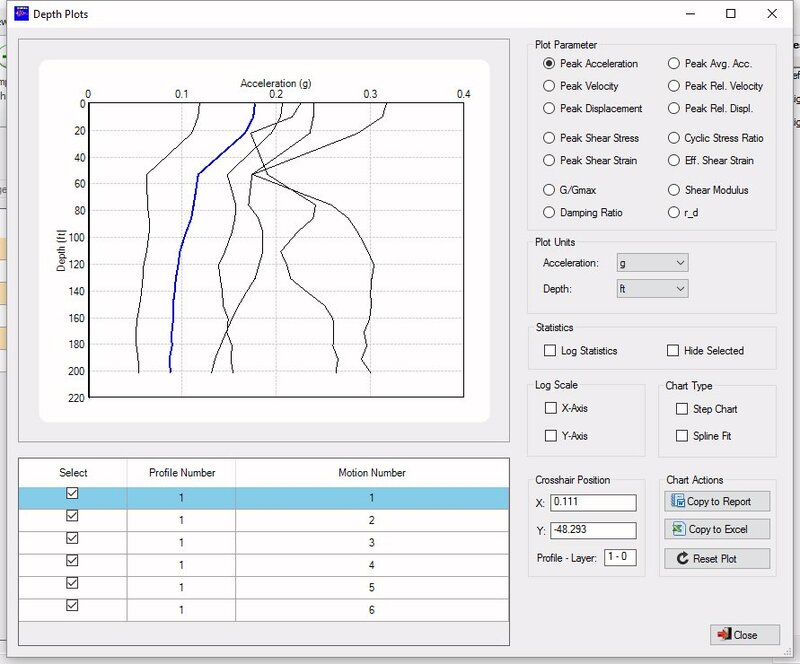 The Input Manager allows entry of soil profile and input motion data. 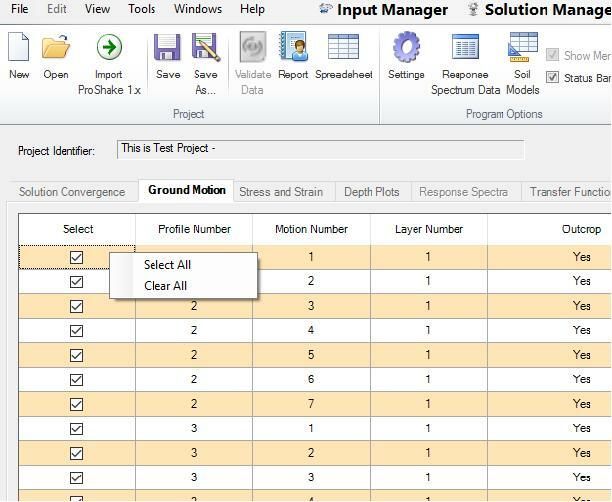 The Solution Manager performs iterative equivalent linear analyses while tracking the process of convergence toward strain-compatible soil properties. 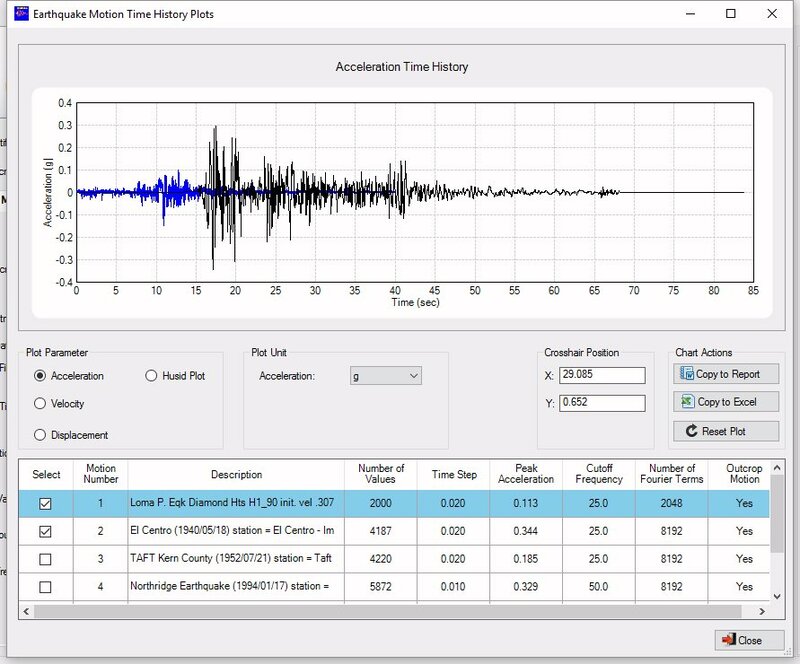 The Output Manager allows easy plotting of results in the form of time histories, response spectra, parameter profiles, and animations. A series of other parameters can also be computed. 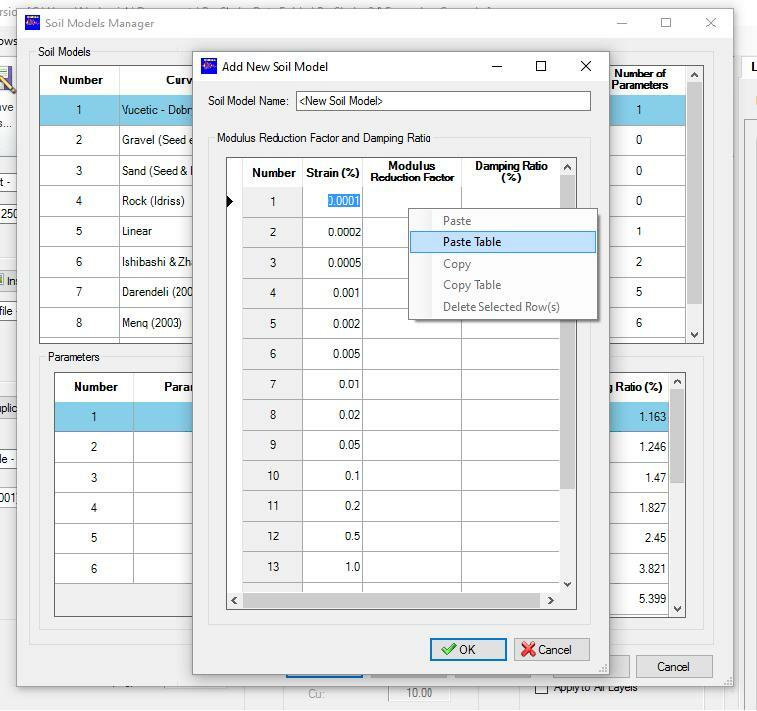 ProShake 2.0 also includes useful Report feature, as a file in Microsoft® Word® format, that automatically records the conditions of each analysis in tabular form. 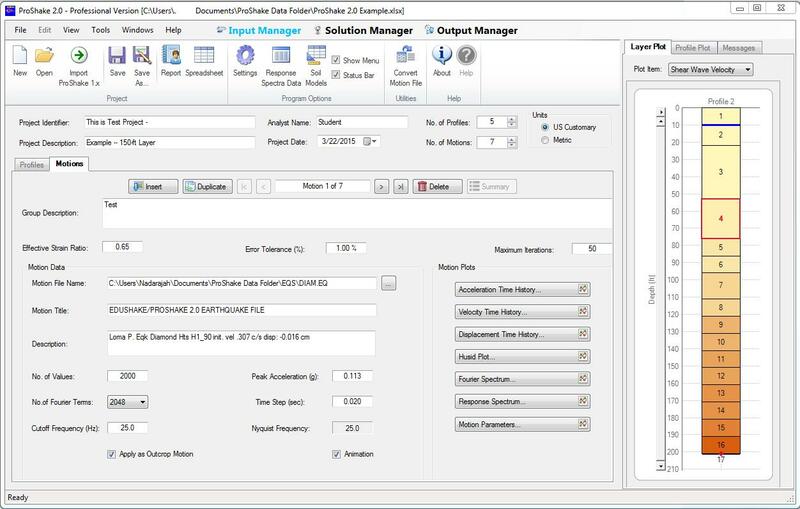 All ProShake 2.0 plots can be copied to the Report and saved for subsequent editing in Microsoft® Word®. 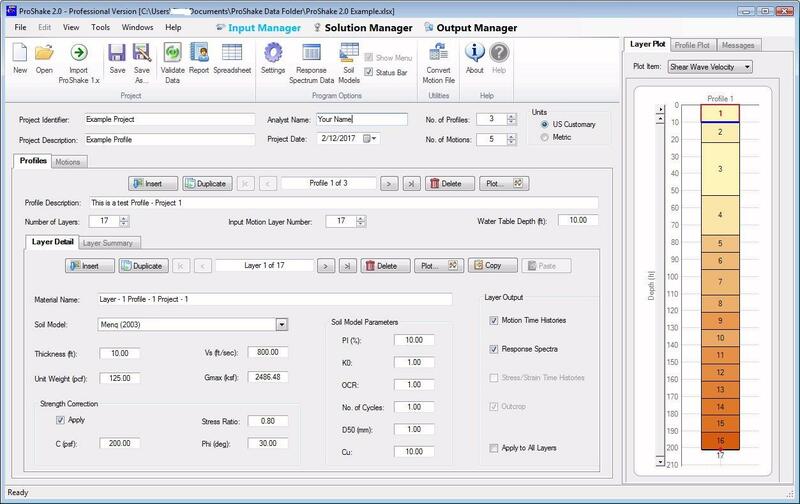 Completely redesigned user interface with extensive plotting options in the Input and Output Managers. Works on all new versions Microsoft® Windows® OS, Windows Vista® or higher. 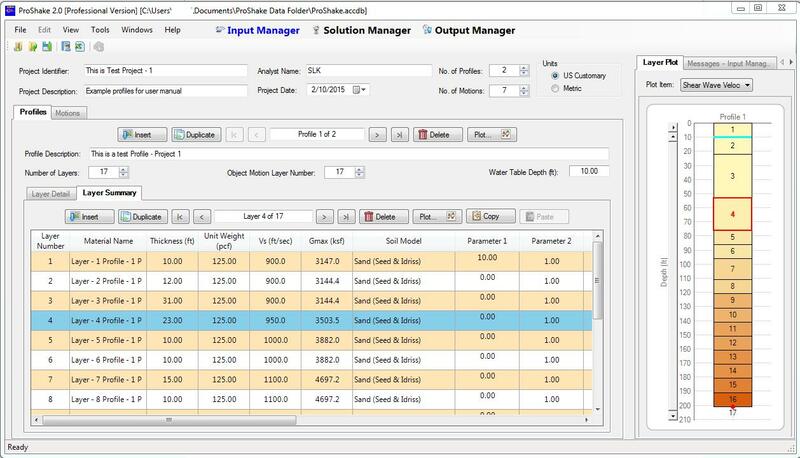 Uses Microsoft® Excel® and Word® format files for input data/results/output and report, respectively. 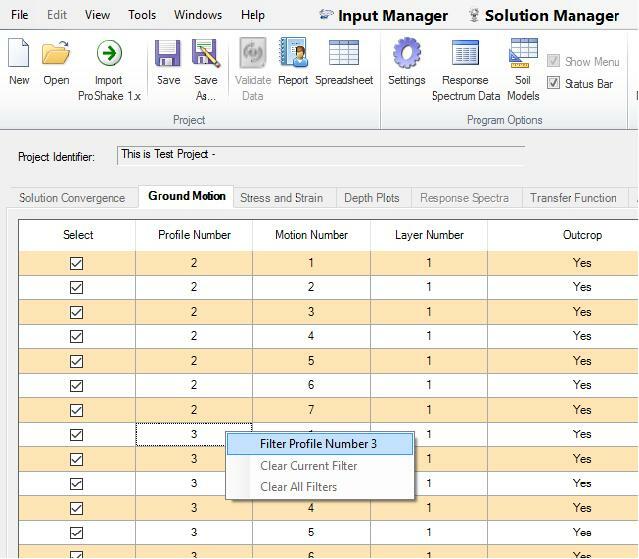 Can analyze multiple soil profiles within the same project (analysis). 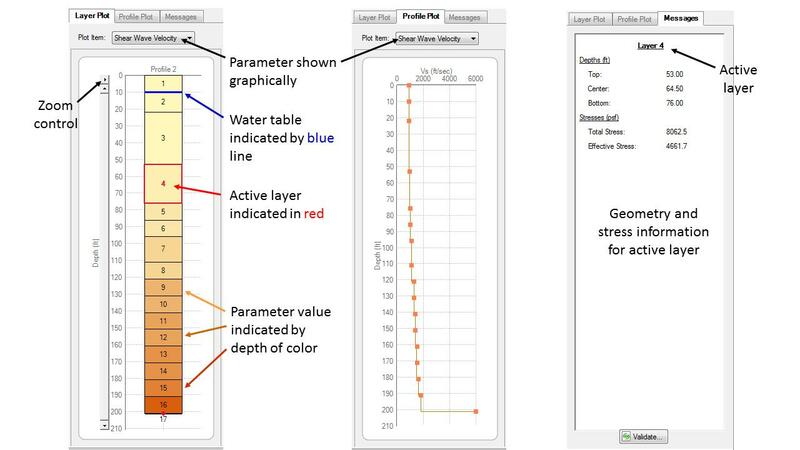 Graphical display of profile and properties during data entry. New soil models with option for strength-compatible modulus reduction curves. 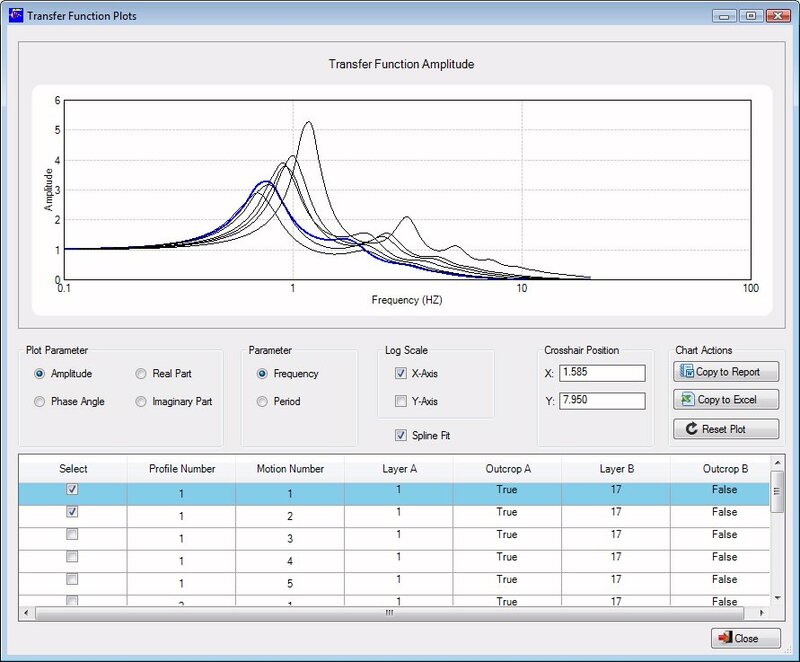 Data filtering for efficient examination and plotting of analysis results. 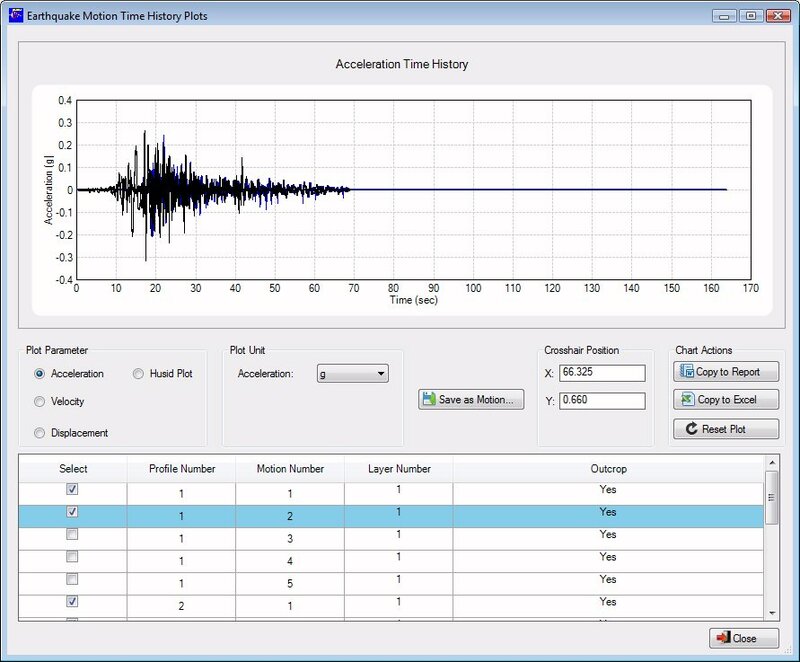 Exporting of ground motion animations as Flash files for stand-alone viewing or insertion into presentations.